Girls School Cinema is back! Stuck for last minute Easter plans? We’ve rounded up some of the hippest events in town. From high tea to Easter egg hunts, we’ve got you covered. The George is a sophisticated restaurant and bar situated on St Georges Terrace. If you are after something a little bit fancy for an early Easter celebration, make sure to book yourself a seat at their Easter High Tea. A High tea with an Easter twist, packages start from $50 per person and include champagne on arrival, sweet and savoury treats and a selection of tea. It’s the perfect choice to impress your frosty mother in law. If your idea of the perfect Easter is kicking back in the fresh air of the beautiful Swan Valley, look no further! The Cheese Barrel and Olive Farm Wines are once again putting on their sell out annual Cheese’Ter Brunch. Take part in “The Great Cheese Hunt” with Daisy the cow, visits from The Swan Valley Cuddly Animal Farm and of course a delicious brunch board. Think freshly baked croissants, local fruit, leg ham, French Brie, fresh baguettes, fig jam and so much more. Tickets are $22 for adults, $10 for children under 12. With plenty of room for the kids to burn off their sugar rush, this is sure to be a winner. If you are short on the funds, this might be the option for you (depending on how well you can control your spending on amazing products!) Linsey’s Community Events are hosting an indoor Easter market at Craigie Leisure Centre. With 40 plus stalls offering all kinds of local wares including homewares, jewellery, children’s wear, toys, beauty and personal care there is something for everybody! There will also be face painting, balloon twisting and live music entertainment. Refreshments will be available from the onsite café. Entry of course is free. Kick back in the beautiful setting that is Sittella winery for their annual Easter High Tea. For just $35 per person, you can enjoy a range of sweet and savoury treats. For an extra $10 you can add a glass of Sittella Sparkling to your meal as you enjoy the picturesque view of the winery. If Easter is your favourite holiday because it’s the one day you can eat your entire body weight in chocolate, head down to the maze for their annual Easter Egg Hunt! Teaming up with the amazing Whistler’s Chocolate Company, the hunt takes place throughout the maze and requires you to solve a series of riddles to find secret numbers throughout the park. With these secret numbers you can crack the code to crack into some chocolate eggs! Everyone receives a prize, with one lucky winner taking away a major prize from Whistlers. Of course you can enjoy all of The Maze’s usual attractions including the outback splash waterpark, mini golf, and even visiting some furry friends. If you’re lucky you might even get a photo with Olaf from Frozen! With any luck you will work off some of the calories before you even eat the chocolate- win win! One for those south of the river, here’s to all kinds of Easter fun for the whole family. The carnival boasts amusement rides, a side show alley, pony rides, food stalls, show bags, markets and of course a special visit from the Easter Bunny on Sunday. There will also be on stage entertainment including an acrobatic fire show! 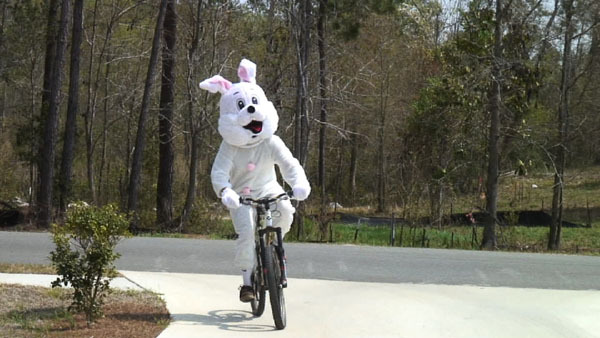 So, what are you doing for Easter? Hi Guys! I’m Emily; a cheese, pun and quilting enthusiast who spends too much time watching Friends. Thanks for sharing our passion of all things Perth and supporting the amazing local businesses we have all around us. After travelling through Europe I realised just how many amazing things we take for granted that you just can’t get anywhere else. My motto is to see all the things, do all the things and, most importantly, eat all the things. Perth Underground aim to #DiscoverDifferent and to showcase the best that our beautiful city has to offer. Subscribe to our newsletter to be the first to hear of exclusive competitions, latest news items and more.